I have integrated the power of personal financial planning and strategies management as a physical element within my 3 pillars of success model. Just having a financial plan is not enough, it is only the first step in the much larger process of transforming one from good to great. What is often overlooked is as a society, we place most of the energy into the physical element. To be successful in life we need to take full advantage of the physiological and spiritual element as well before one can reach their full potential. As humans beings, we are underdeveloped, we have much more untapped potential. It has been long known to the medical and scientific community that we humans only use 10 percent of our brains. Why, because the other 90 percent is for physiological and spiritual development. The hardest part is to buy into the physiological element when one lives in the physical world. But once we can believe in and masters the physiological element, the spiritual element is not far away. It is much easier to get ahead in life if you have an advantage over others. What is this advantage, it is being able to connect to the spirituality universe that will guide you & help you through life. Most of us are either not open to spiritual universe communications or simply ignore it. If you don't believe me? Please read this little book called Think and Grow Rich by Napoleon Hill. In his book Napoleon Hill speaks of mind to mind communications, mastermind group (A group of 3 to12 people fully engaging into the same subject matter. Can connect to each other to solve problems and gain information. It's you're spiritual Google) and imagery adviser that guided Napoleon Hill. through life until Napoleon Hill was financial & personally successful. You can tell me, don't believe! But I here to help you believe in this in the spiritual universe! Why do I believe? Simple because I have personally witnessed the spiritual universe, and can say these are indeed true and correct. This little book Think and Grow Rich by Napoleon Hill is the best selling business book on the success of all times, and is considered the Bible of success. I am trying to open you up to the light of the spiritual universe. But the spiritual universe gave us all same three tools, a body, a mind, and a soul. When we use each one correctly, life will get easier. You will receive abundance and property. What can I do for you? I will Teach/coach you the steps that are needed. I start everyone with the law of attraction, inducing meditations. The second step is manifesting/healing/protecting/psychic development through crystals. The 3rd Step is intuition/psychic development. The 4th Step 5th step would be basic Kabbalah and/or mind the only manifestation. I would recommend performing energy healing, to aid in unblocking any blockage you may have and will accelerator your development. I will need from you is your desiring to change your life for the better your and willfulness to follow my basic 3 pillars of success model. 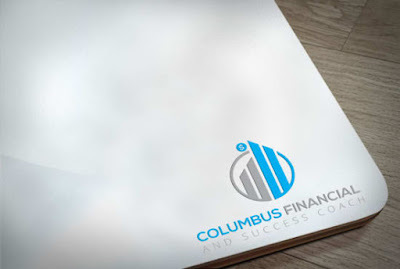 I started the Columbus Financial Coach in 2011 after I was receiving a recovering idea to start a thrift or saving web-page that had to come to be 3 times before I took action. In the law of attraction teaching, this commonly spoke of the universe is sending you a message. The 3 Pillars of Success - The Next Great Advancement in Success Movement. I reached the 3 master Napoleon Hill, Zig Ziglar & Raven Silverwolff and came up with a new compact in success strategy. If you would like more information or pricing please visit our web page below or call us at 614-282-3162, thank you. Why are we paying so much for the Internet?